$ 250 ea. - #13 chair in grey fabric and black painted metal legs with stainless steel finals in gold color. This set also available with stainless steel base in silver color. $ 250 ea. - #13 chair in grey fabric and black painted metal legs with stainless steel finals in silver color. 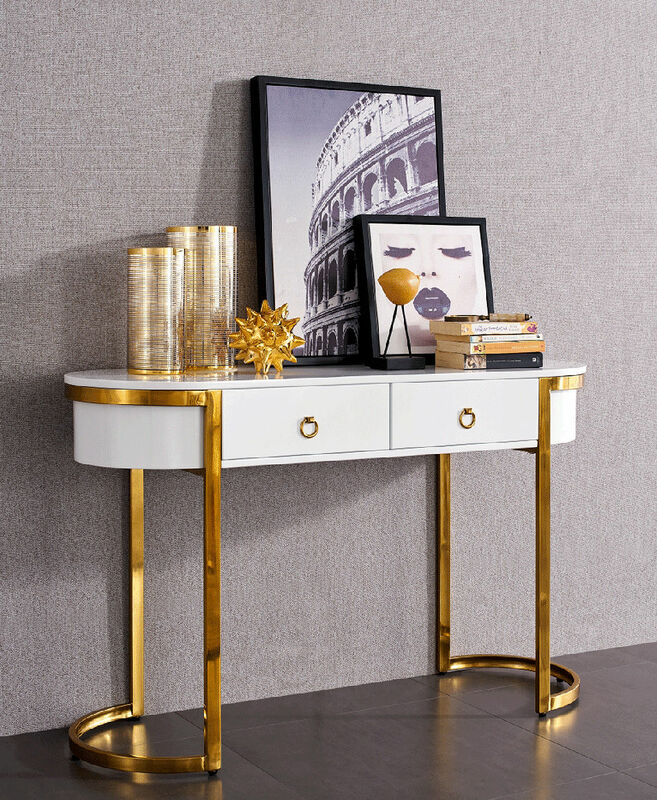 $ 950 - #13 console table w/ 2 drawers in White high gloss finish and stainless steel base in gold color. Also available in White high gloss finish and stainless steel base in silver color.